John 10:10 – The thief comes only in order to steal and kill and destroy. I came that they may have and enjoy life, and have it in abundance to the full, till its overflows…. What an awesome scripture right!? God is so good. Upon all our imperfections, He always has the best thoughts about us. Happy Sunday!! How y’all been this weekend? I’m blubbly blubby anyways. Church was bangin!! Praising/worshiping God never and will never get old. Everything shall pass away but the words of God will never pass away. Let us all hope for the best. 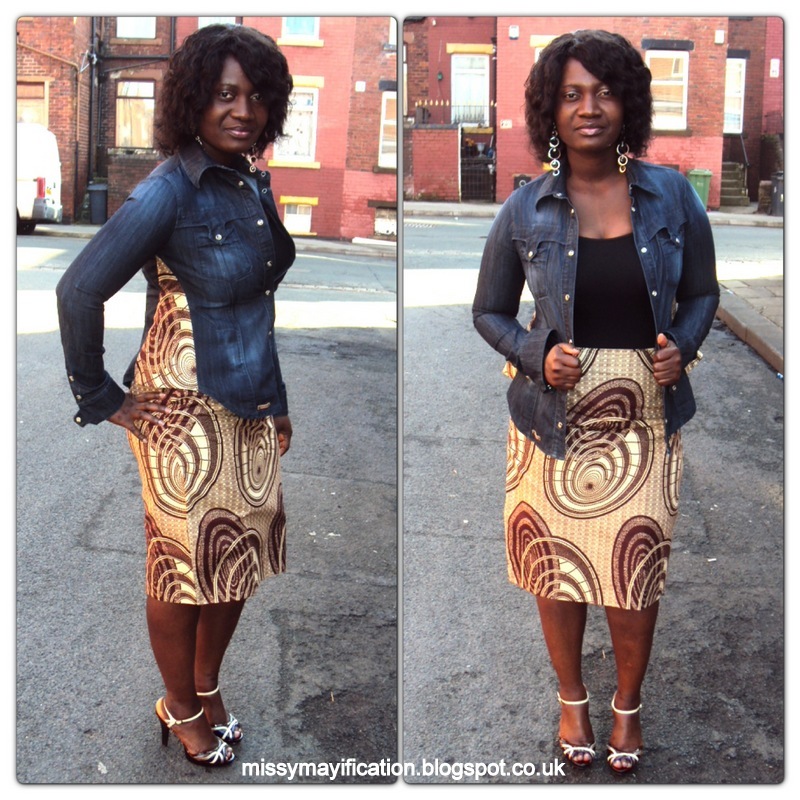 Ait so my dress-code was simple denim meets African print. The story behind that denim shirt (Zara) is funny. When i got it seven years ago, it fitted but after I gave birth 3yrs ago, it didn’t anymore. I’m normally the gal who dashes clothes but no way did I want to let this shirt go. Instead, took it to a seamstress to enlarge it by fitting in a piece of African cloth. And hurrah it worked. Well not entirely. My ta-taas are just too big (ha!). I got so much compliments today at church for my ensemble. My head nearly exploded…hahahahaa!! Anywayz what do y’all think? As always thanks for passing by. God bless you. Spending the night in the Library cos I got two presentations tomorrow. Can’t seems to concentrate when I’m home. Next Post YOUR HAPPINESS MATTERS..